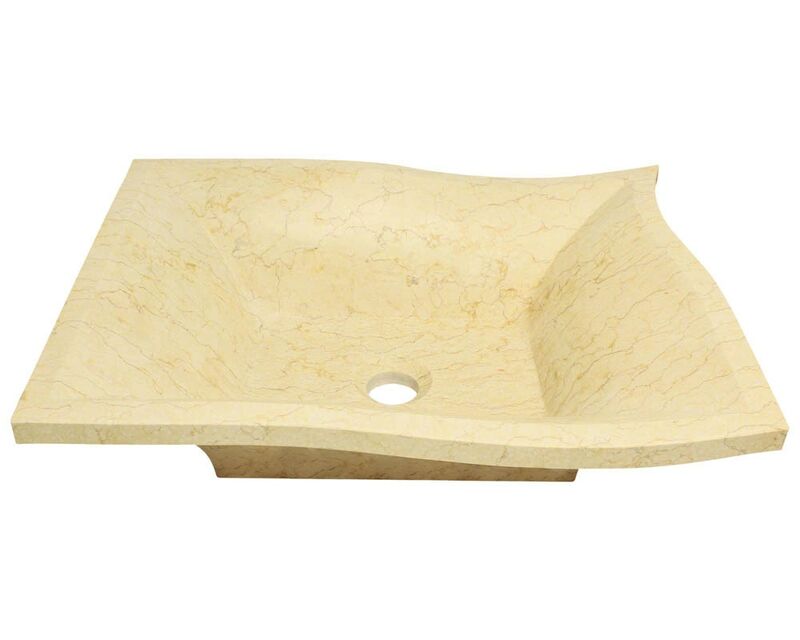 The P958 Egyptian yellow marble vessel sink is made from natural marble. The sink is carved from a large block of marble and hand-polished for a smooth, easy to clean finish. The unique shape of the sink is sure to turn heads in any room. The warm yellow color really stands out and the tan and brown veins that run through the sink add character and texture. Since marble is a natural stone, the details will vary in color and pattern from sink to sink. A matching stone waterfall faucet is available to correspond with this sink. The overall dimensions for the P958 are 19 3/4" x 15" x 5 1/4" and a 21" minimum cabinet size is required. As always, our stone sinks are covered under a limited lifetime warranty for as long as you own the sink.